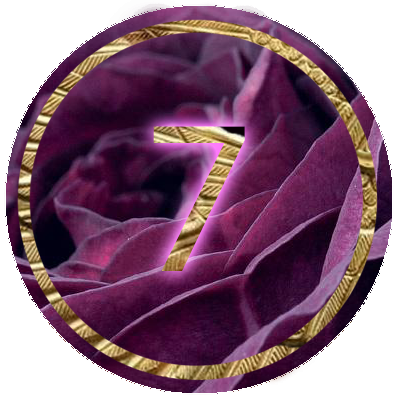 Sign up to receive videos + meditations everyday for 7 days, starting as soon as you sign up! We’ll begin our journey by creating an altar devoted to the Divine Feminine, somewhere in our homes. I will guide you through how to do this, while offering an invocation to the primary Goddesses we will be working with over the journey. Today, I will take you to Ancient Egypt through a guided meditation, where you will receive downloads about your life purpose. Why are you here, in this body, at this time? What does the Goddess want from you? You’ll also receive activations from Ancient Egyptian frequencies to help you remember your true path. When we honour the Divine Feminine, we honour the Sacred Masculine. But most of us have deep wounding with the Masculine that goes back lifetimes (past lives) and, generations (ancestry and collective consciousness). Showing up in full power in this life requires us to honour both the Feminine and the Masculine. Today, we’ll go on a healing journey to heal the wounds inside of us so we can embody union. Sacred sexuality is quite possibly, one of the Goddess’ juiciest domains. But body shame, and old programming can stop us from truly delighting in our body temples. Today, I’ll take you on a guided dance journey to help us transmute our shame through the powerful practice of dance. Our blood contains powerful codes and frequencies that can deeply nourish the earth. When we give our menstrual blood back to the earth, ceremonially, we not only give the earth powerful medicine, but also increase our connection and intimacy with her, and the ancestors. Today, I’ll show you how I practice by blood ceremonies, so you can take this practice into your own life, and make it your own. I’ve been honoured to host both New and Full Moon’s women’s circles for about 4 years. I’ve seen so much healing, strong friendships being formed, and beauty happening in these circles. In order to have Women’s Circles be strong containers of healing + intimacy, we need to hold strong and resonant space. I’ll share my take, on how to host Women’s Circles, with integrity, in today’s transmission. Today, we’ll journey to the mystical isle of Avalon to receive information about our lineage. Have we had past lives as a Priestess, a witch, a midwife, or in a Mystery School tradition? What is being called to be remembered, so we can more fully engage in our life’s purpose? This will be a live video for our closing ceremony.